The plexi glass bowl of 2 m high and 3 m wide is filled with real popcorn. Giant mouths chewing popcorn are shown on integrated TV monitors. The visitor is invited to participate in the game entitled “Power Corn” and to discover the effects of the magic product: ENDURANCE, STRENGTH, VITALITY, ANTI-STRESS, ANTI-CELLULITE. The three first selected participants could win a 300g box of “Power Corn” with a surprise gift. 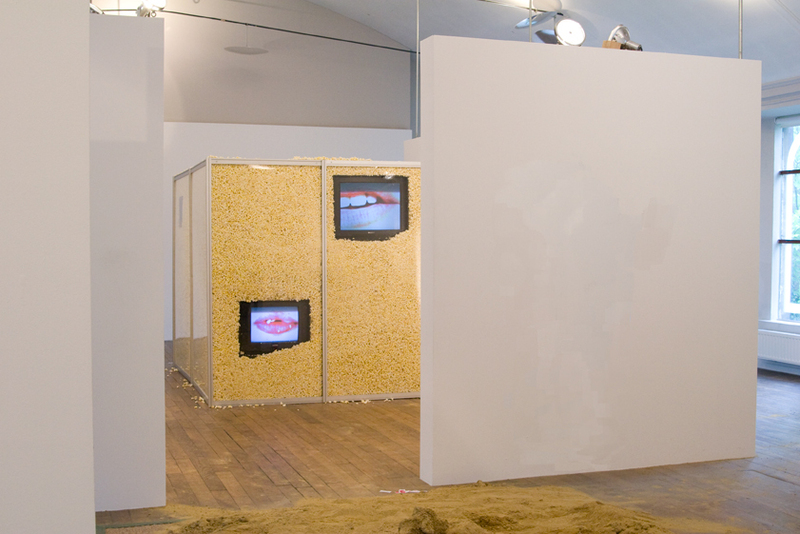 The installation refers to blind consumption of industrial food.